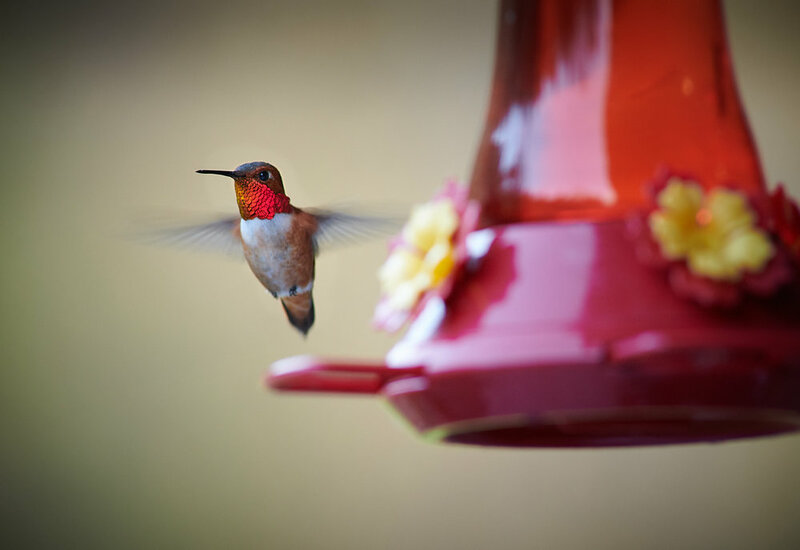 Let your spirit soar free like a hummingbird! Ruby and his family are back on the mountain! The ridge was wonderful this weekend with stellar skies, snow capped Cascades and wildflowers. My new friend Cody and I had a blast! Arrowleafed balsam root is everywhere on the mountain and lupine and Indian paintbrush not far behind. Great wildlife viewing now too... the elk herd are in the neighborhood as well as almost nightly visits from the bear teenagers from summer 2016. Lots of deer and wonderful bird viewing from songbirds, hummingbirds and the silly wild turkey flock. Never a dull moment for me to keep me busy "on patrol". An added bonus for the adventuresome is amazing white water rafting as well as morel mushroom hunting. Hope you can find the time to come on over and play here in May and June! Hey there...its Millie Vanilli! I just got back from a hike and am soaking up the sun on the deck! First let me say, thank you for all of the birthday wishes! I had a great day running the trails and greeting guests... and yes, I even got to catch some snowballs! Do you know what tomorrow is? I hope you do as its my favorite holiday... Valentine's Day! Whether your are making dinner for your special someone, close friends or just yourself you are going to need some chocolate! (I have never had it, but my sister Brecklyn says chocolate is one of the best human foods around!) My Grandma Ginny, was the queen of heavenly and easy to make foods and so for you, my sweet valentines, I am sharing her Royal Crown Mousse recipe! 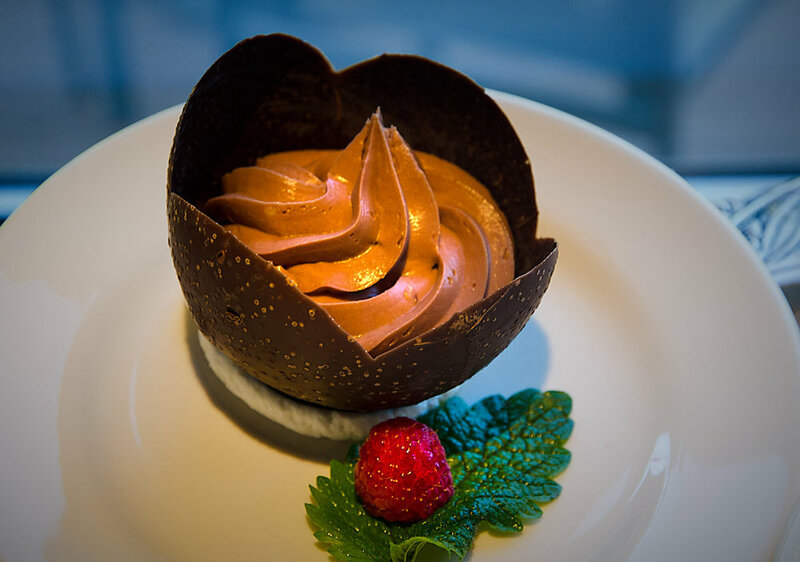 If you have stayed with us before, you have likely had this delicious, thick and yummy dessert! I thought I should share it with you today so that you can swing by the store on your way home and pick up any missing ingredients it calls for. I have also included an easy and elegant way to serve it for your "royal" guests! Melt chocolate chips and blend in mixing bowl with the cream cheese and 3/4 c. brown sugar and salt. Beat egg whites in separate bowl until stiff. Add to chocolate mixture with vanilla and remaining sugar. Whip cream separately until very stiff and then gently fold into the chocolate mixture. Scoop 2-3 plops/cups into a ziplock bag. Seal without air and cut about an inch out of one of the lower corners. Squeeze a serving size worth into a wine glass. Top with additional whipped cream and berries or sliced strawberries. Enjoy, and be sure to share your pictures with me! I'd love to see your royal treats! Our Winter wonderland- Mountain Home Lodge! The fresh snow is making for a marvelous weekend! Awoke to more fresh snow and a perfect day to play in the woods on the mountain! Our guests Kelcey and her mom Karen were up bright and early to welcome in the day! Hope your day was full of love and fun too! Renew your spirt. Seek the beauty of nature. Surround your being in calm stillness. Join us at MHL this winter.